Cover form with about a 1/4 of an inch of paper clay or Celluclay (I like to keep a bowl of water by me so that my hands can stay wet. I find that the clay doesn't stick to me as much like this). With your wet fingers, carve out your jack-o-lantern's face features by pushing the clay off to the side or removing it completely. If there are any lines or edges that need smoothing, wet your hands and softly smooth the clay out. When done, let dry in the sun (or in your oven on warm). After spraying your pumpkin with a finish (like this. I like mine glossy because I think it looks nice) to keep it safe from the elements, drill two holes near the top on opposite edges for the wire. Then decide how long you want your wire chain (I buy my wire at Home Depot in a big roll for about $3) and cut a piece twice that length. Fold in half and twist all the way down. Bend the sharp tip in towards itself so that it creates a loop and holds in place. Tah-dah! All done! Now you are ready for your trick-or-treater to collect as much loot as they please on Halloween night! I hope this tutorial was helpful! Have a wonderful Halloween! Came over via Southern Lovely. Hi! 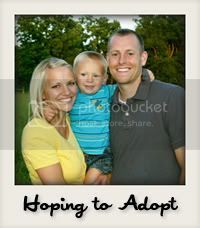 Just found your site via Totally Tutorials, and I must say I am your newest follower and fan! Your site it AMAZING, you are so talented, and I just LOVE every single cotton-pickin' post! :) I'm so happy that you are sharing your creativity and awesome tutorials, thank you! ps-Your babies are absolutely PRECIOUS! I love these pumpkins! Thanks for sharing! What a fun project! Thanks for linking up with us at Show & Share! Can't wait to see what you link up this week! Wow you did a great job with these! Love it! Absolutely love the vintage style of your paper mache pumpkins. Beautifully done! My son and I tried to make paper mache pumpkins just like this and failed! They were too thin. Great link to the paper mache clay, that will help so much. Thanks! These are just adorable!! They have a great vintage Halloween look! Thanks for sharing your fun pumpkin project. 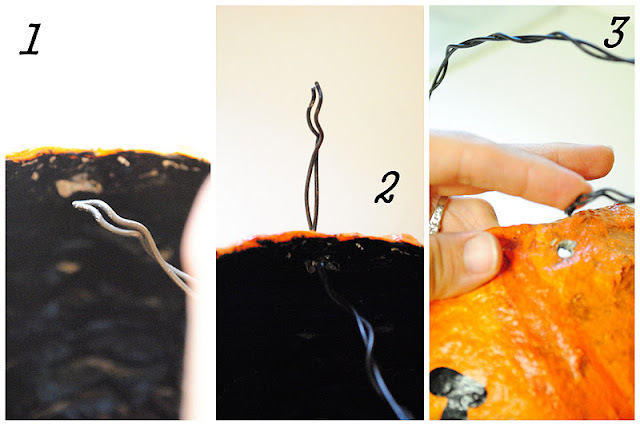 I have been wondering what type and gauge of wire did you use for the pumpkin totes? What section/dept of Home Depot did you find the wire?